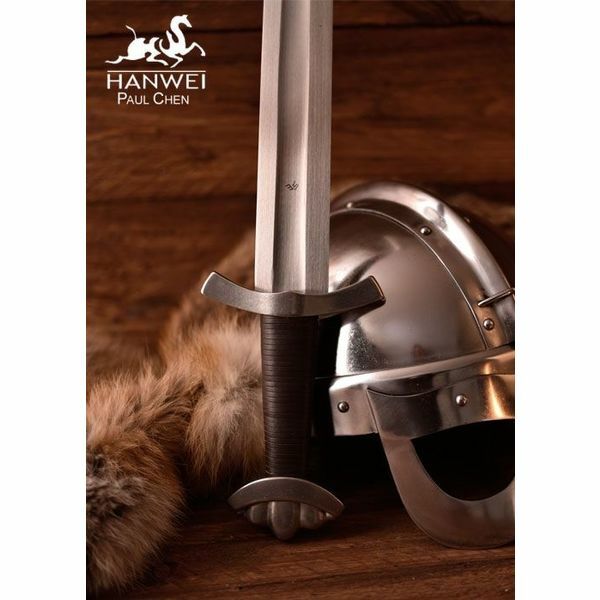 This sword is a replica of a 10th century Viking sword excavated in Dublin. 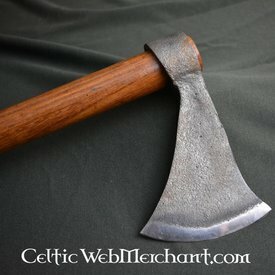 The original is nowadays part of the collection of the National Museum of Ireland. 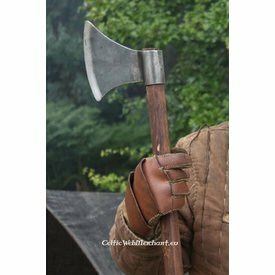 It is part of the same exhibition as the Ballinderry sword and the Limerick sword. 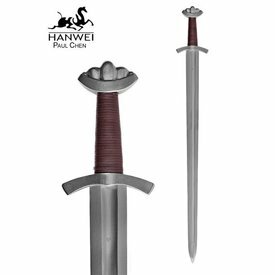 This sword is a Petersen type AE, a sword type that is relatively seldom excavated. 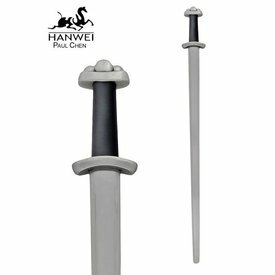 This sword has a characteristic lobed pommel. 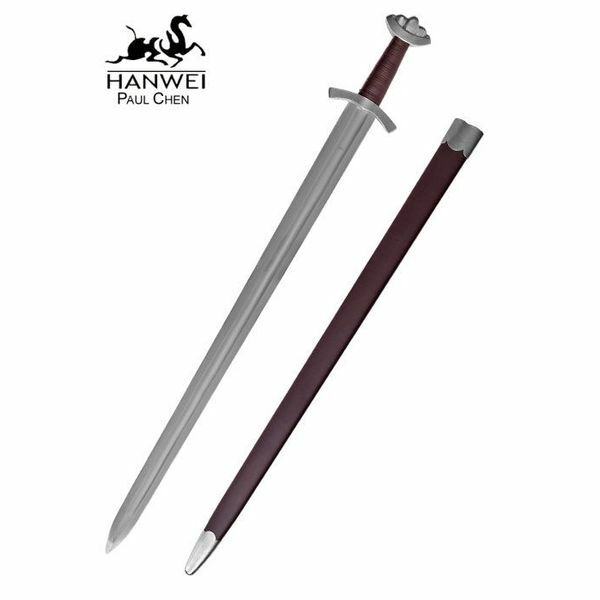 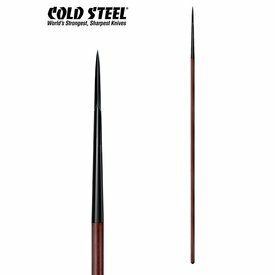 It has a length of 87,6 cm with a sharp carbon steel blade with a hardness of 50-52 HRC. The blade is 71 cm long. 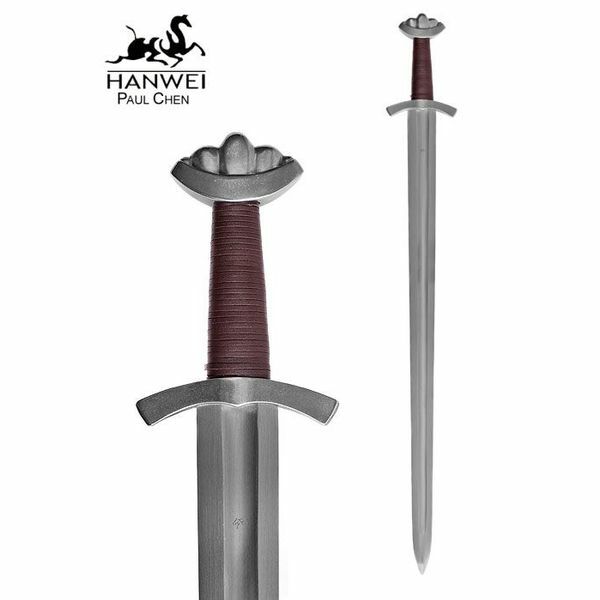 This sword weighs 1049 grams and is delivered including scabbard.